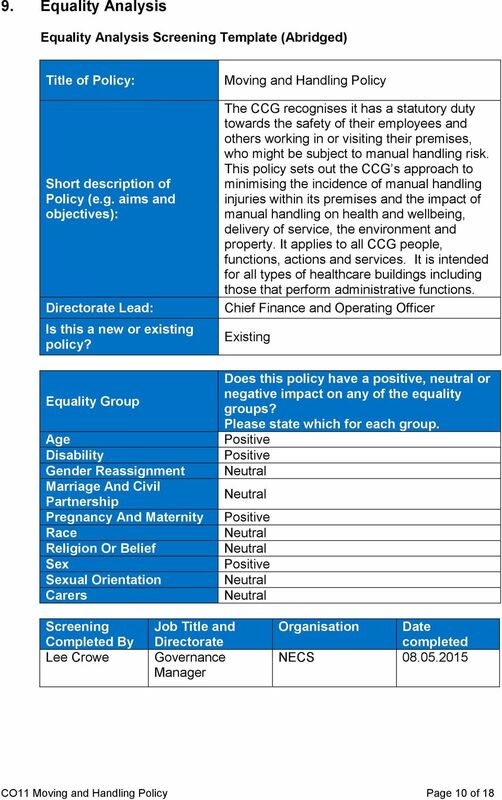 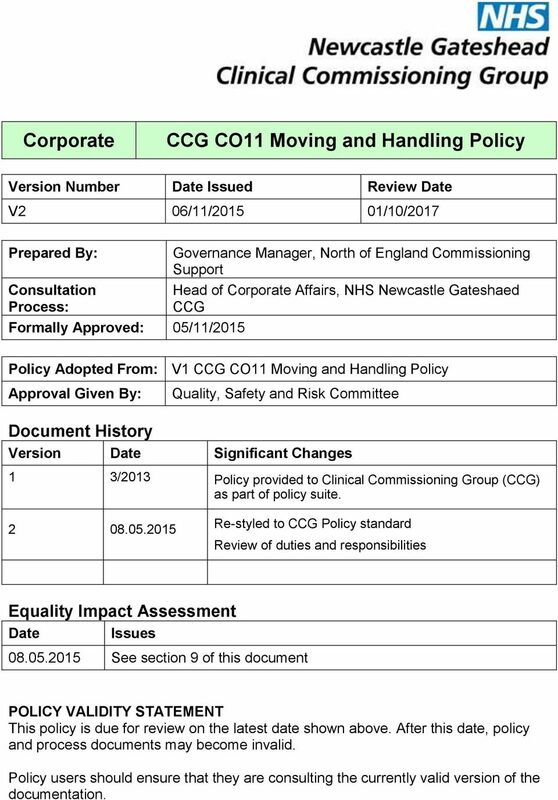 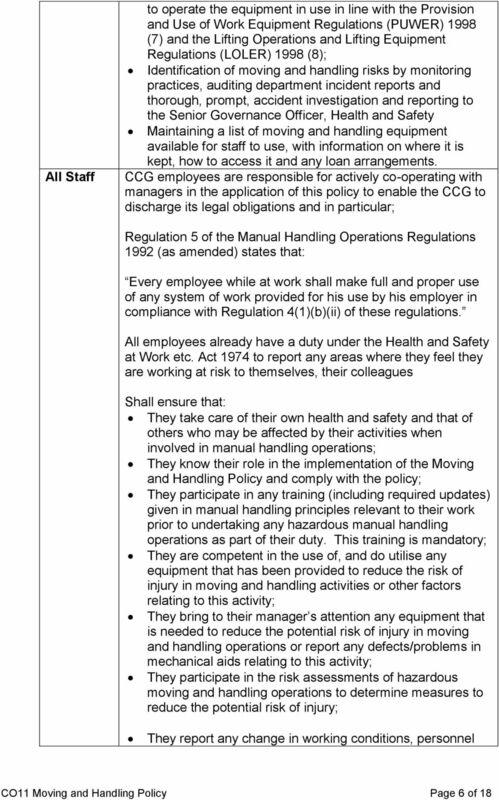 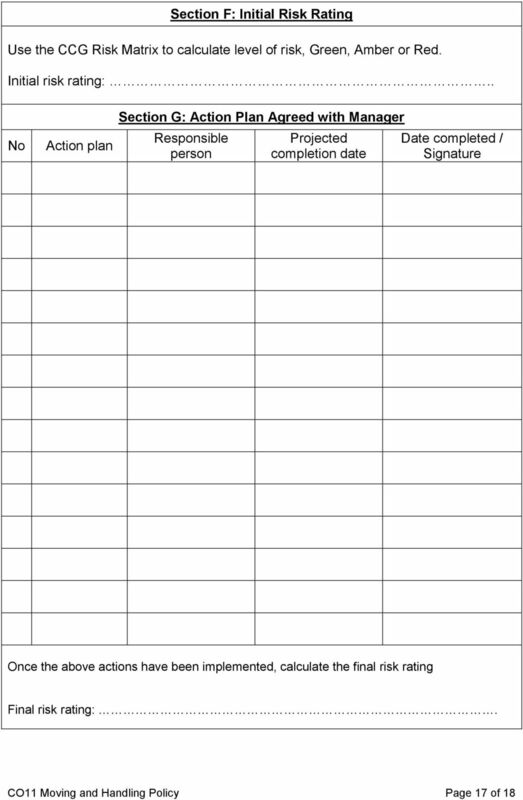 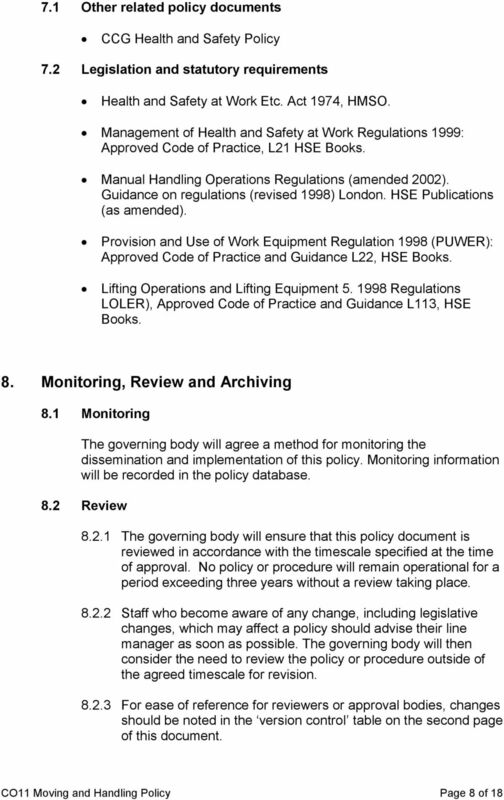 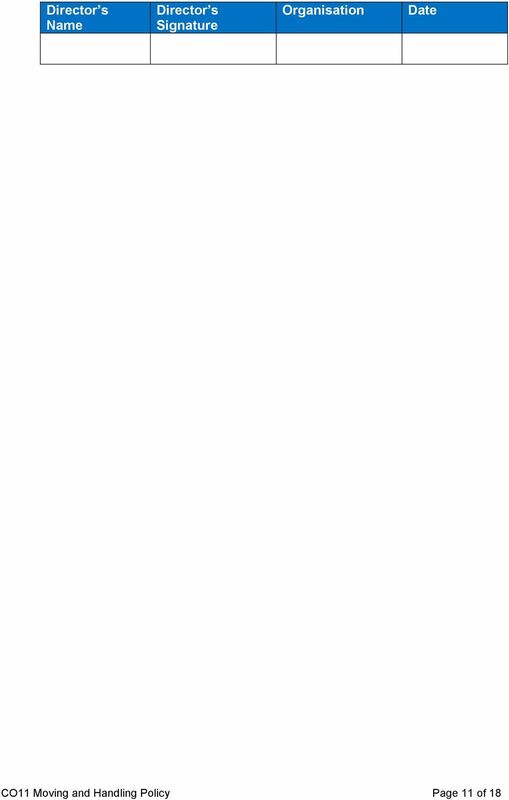 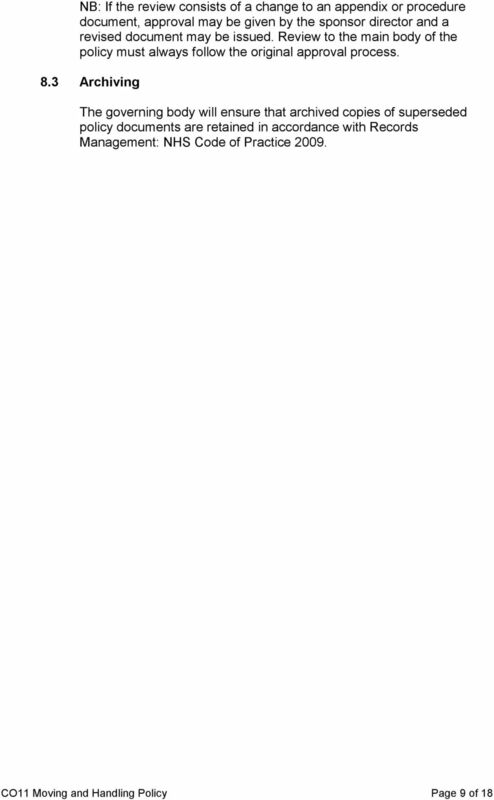 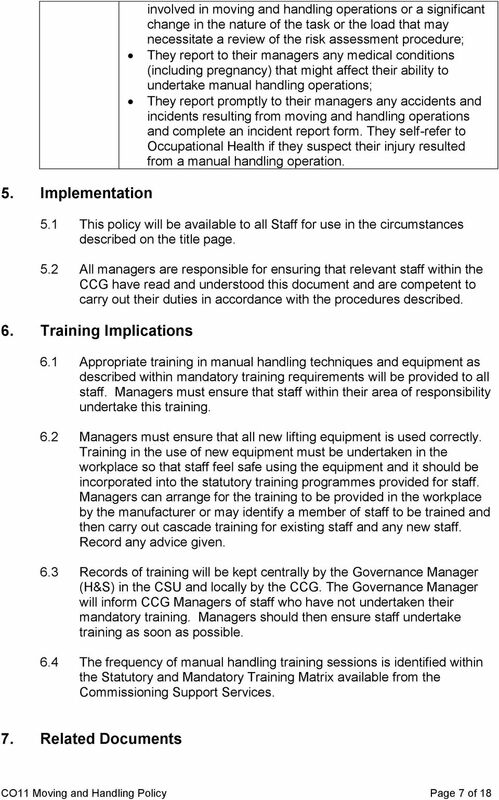 Download "CCG CO11 Moving and Handling Policy"
1 Corporate CCG CO11 Moving and Handling Policy Version Number Date Issued Review Date V2 06/11/ /10/2017 Prepared By: Consultation Process: Formally Approved: 05/11/2015 Governance Manager, North of England Commissioning Support Head of Corporate Affairs, NHS Newcastle Gateshaed CCG Policy Adopted From: V1 CCG CO11 Moving and Handling Policy Approval Given By: Quality, Safety and Risk Committee Document History Version Date Significant Changes 1 3/2013 Policy provided to Clinical Commissioning Group (CCG) as part of policy suite Re-styled to CCG Policy standard Review of duties and responsibilities Equality Impact Assessment Date Issues See section 9 of this document POLICY VALIDITY STATEMENT This policy is due for review on the latest date shown above. 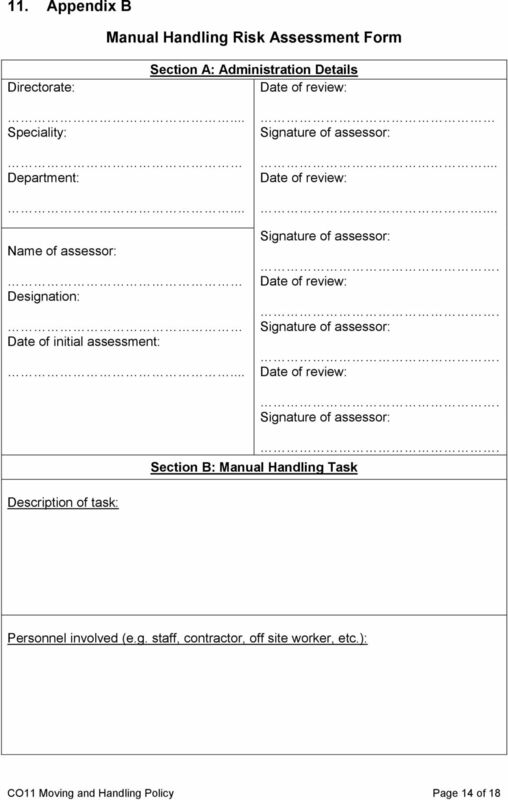 After this date, policy and process documents may become invalid. 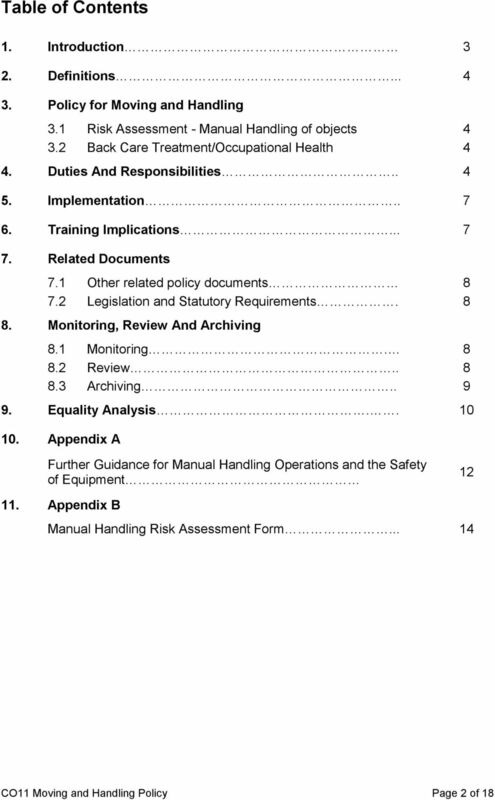 Policy users should ensure that they are consulting the currently valid version of the documentation. 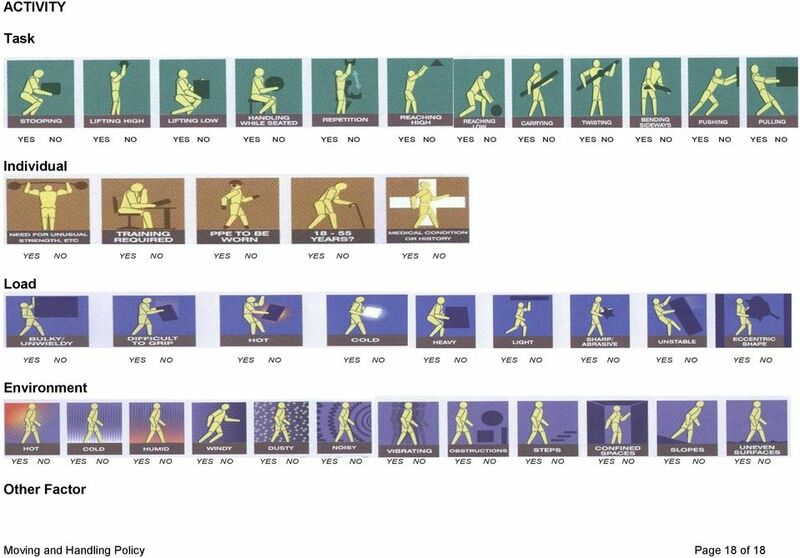 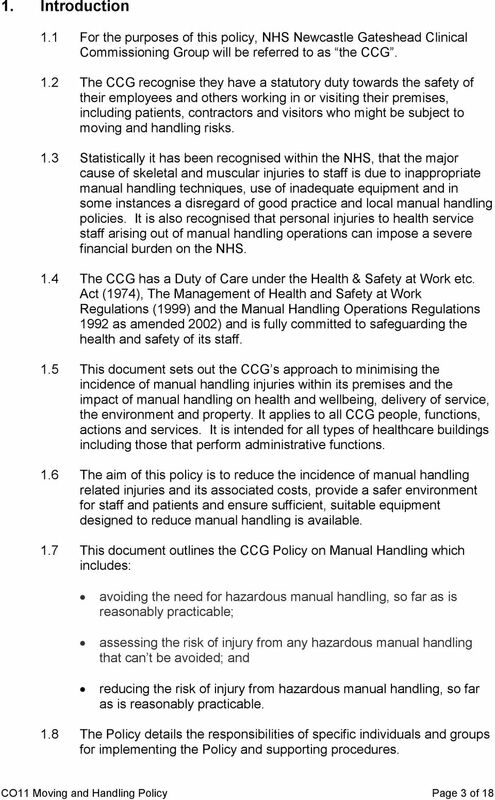 Manual Handling- The Whole Story! 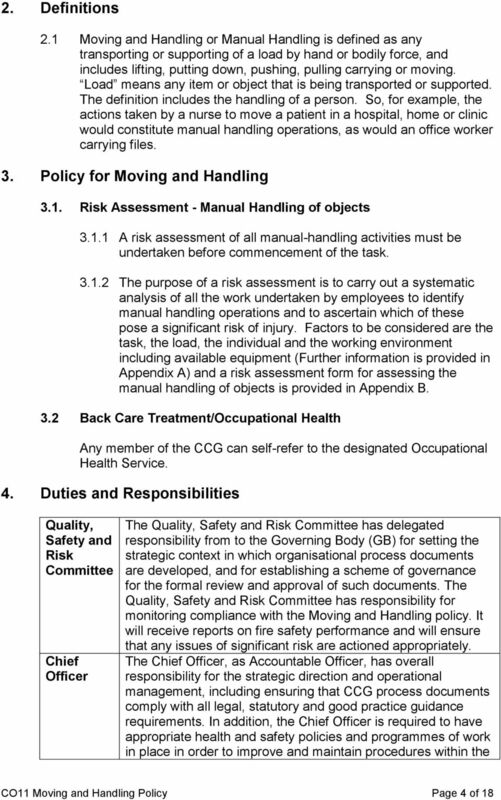 Manual Handling- The Whole Story! 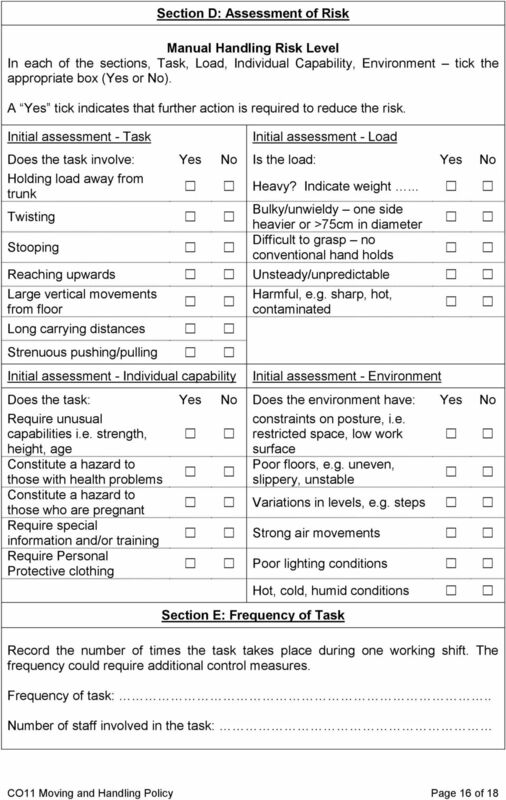 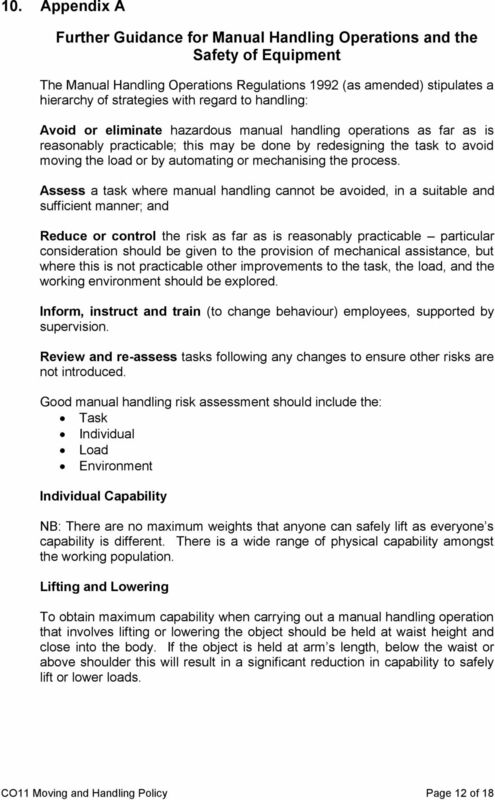 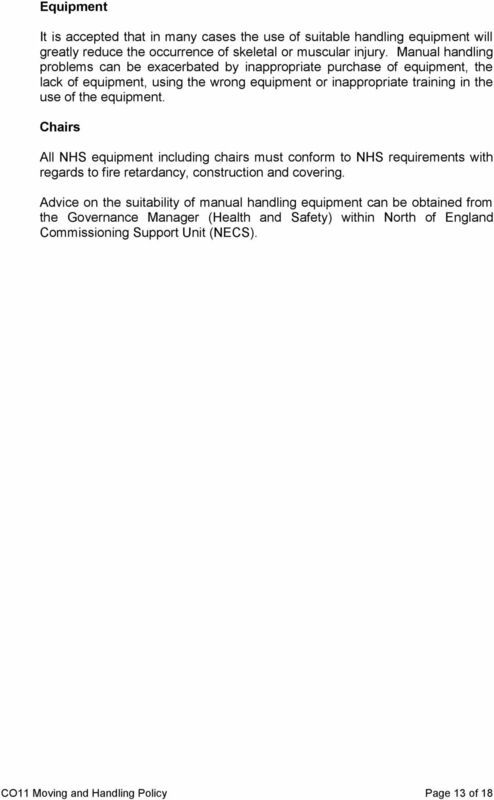 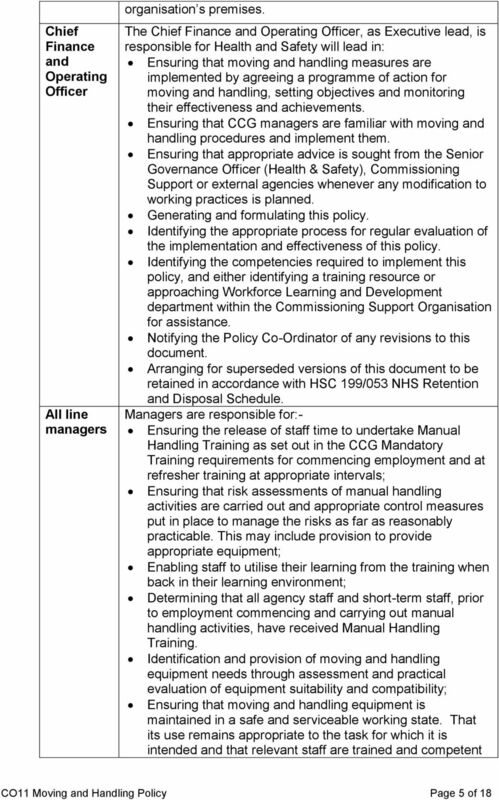 For Responsible Managers and Assessors Course Notes Mark Mallen Group Health and Safety Manager July 2005 Course Content 1 What is Manual Handling? 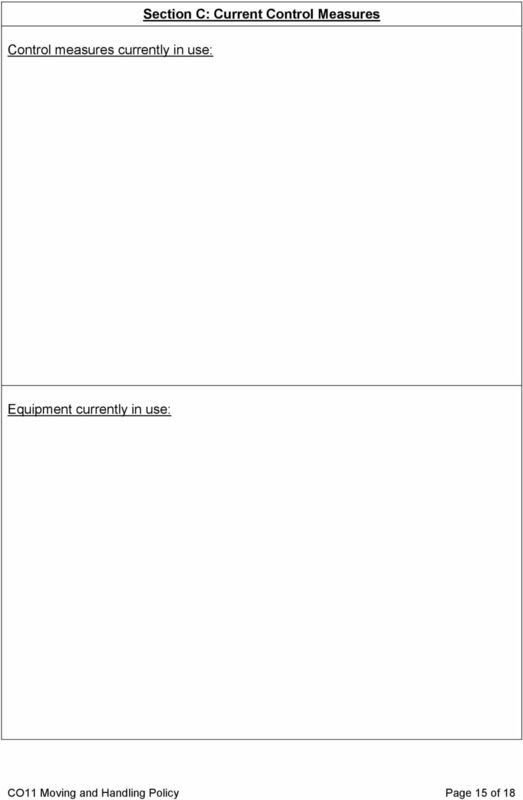 2 What s the Problem?